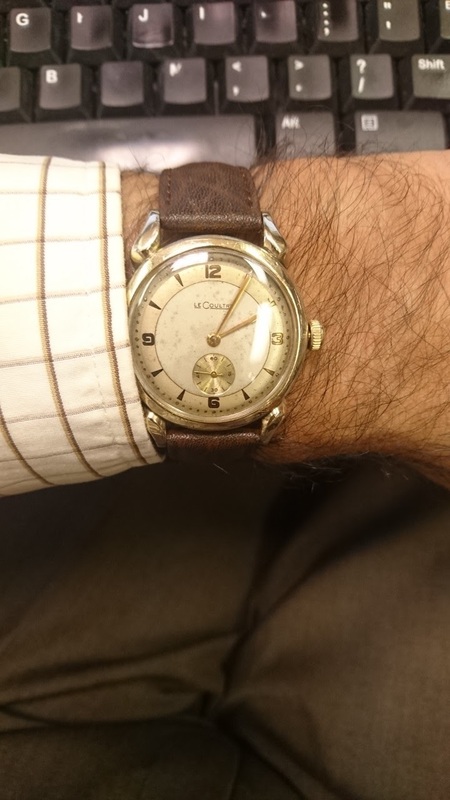 Wearing one of my vintage LeCoultre models today. This one is a gold-filled sector dial model with cal. 480/CW manual wind movement, coupled with screwback case for improved water resistance. Original dial and dramatic horn-shaped lugs, so typical of this era when raw ebauches were sent to the US to be cased here.